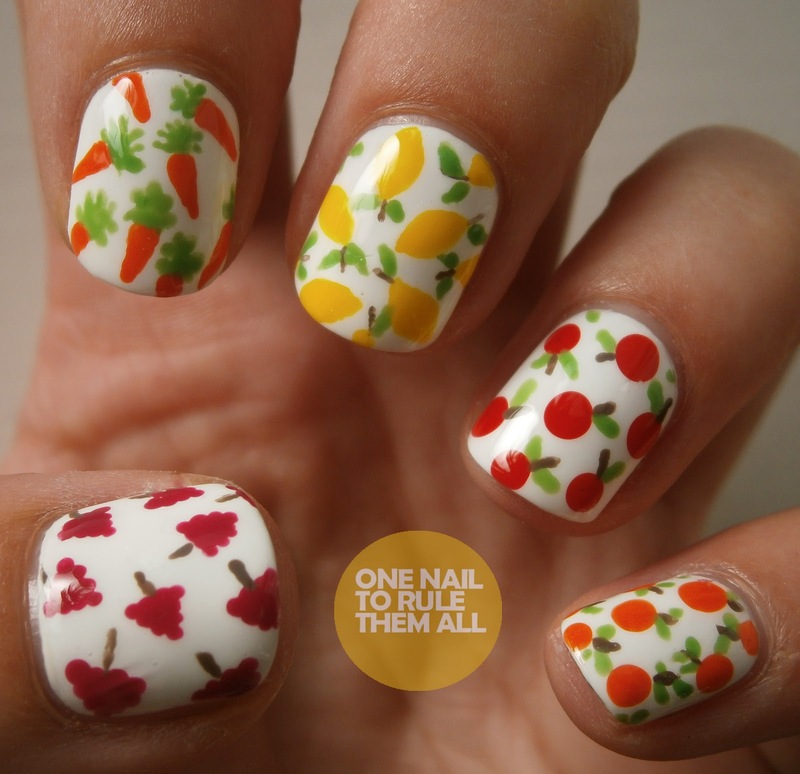 One Nail To Rule Them All: Fruit and veg anyone? I'll have to try this; it looks so fun :) ! The apples and carrots are the cutest!! That's soo cute!! I love the little carrots! These are so cute! I absolutely have to try them! I love this! It is soooo cute! I'm all for making veggie print a thing! 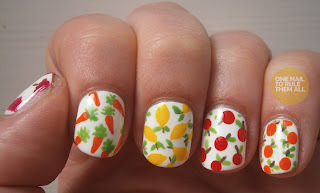 These look cute and good enough to eat ;-) thanks for the inspiration! Oh i love them! :3 so cute!